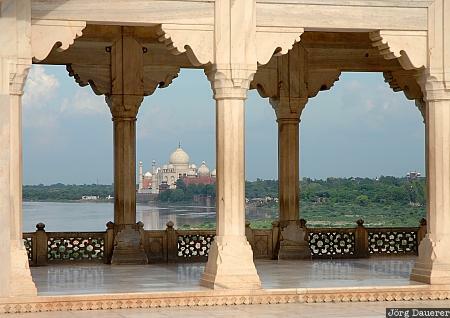 Taj Mahal and Yamuna river seen through the columns of the Red Fort in Agra, Uttar Pradesh, India. This photo was taken in the afternoon of a sunny day in August 2006. This photo was taken with a digital camera.